We have so much to thank God for, both in our work with CWEF and in our family life. 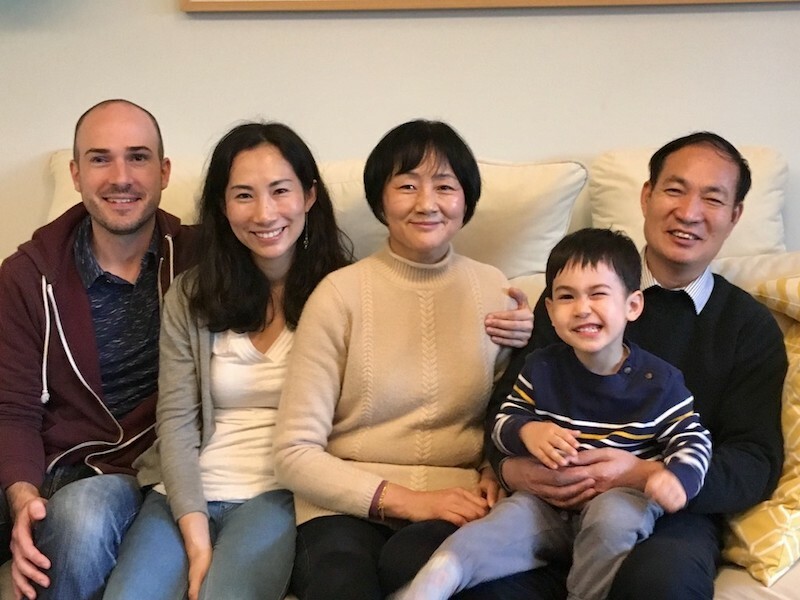 As I mentioned in previous letters, for the past year we have been going through a long and difficult process of re-registering CWEF’s organization in China to comply with new laws regulating foreign non-profits operating in China. I am so thankful to be able to report that after months of being stuck in bureaucracy, we have now completed this process and are once again a fully recognized, legal entity! From our human perspective, this was certainly not a guaranteed outcome, so we thank and praise God that he has answered our prayers and is making it possible for this work to continue, so that more and more people here will have the opportunity to know and experience the love of Christ, in word and deed. Now that this legal hurdle has been cleared, we can move forward with the health and education development programs that had been on hold due to the registration process. These include High School Scholarships for students from low-income families and the HEAL health education program with people in remote rural villages, which is being funded this year by a generous grant from Target Corporation (of the retail stores you know and love). CWEF team meeting, which included wonderfully blessed times of worship, fellowship and planning with our team and board members from across Asia. Two LCMS colleagues who were able to join us for this meeting were Sean Harlow and Julie Lutz. Both have now moved on to the next stage of their service to the Lord in other places. We thank God for the time that He allowed them to serve with us. The official founding of Shining Star, the local non-profit that CWEF helped launch, which is led by Summer (a recently baptized Christian), and whose members are primarily made up of previous CWEF Scholarship recipients, who serve as volunteers. 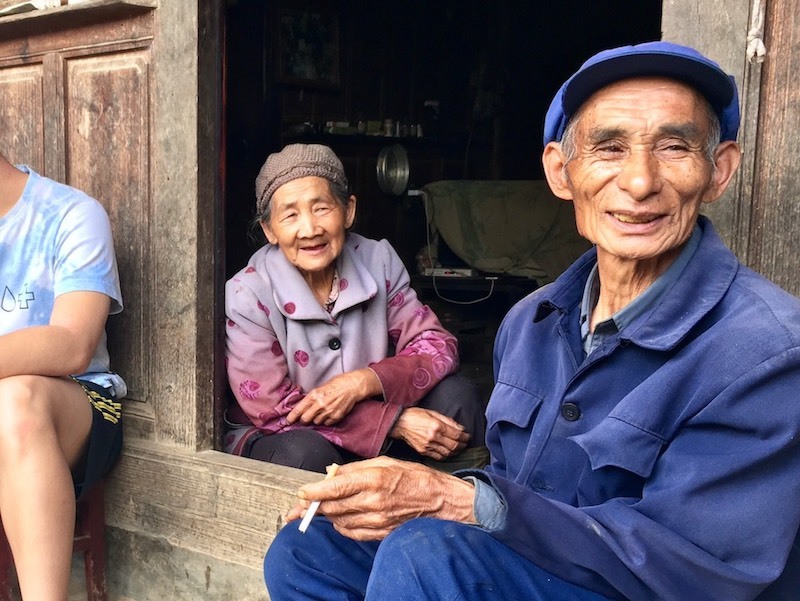 Shining Star is reaching out to young ‘left-behind’ children and their families in rural China. 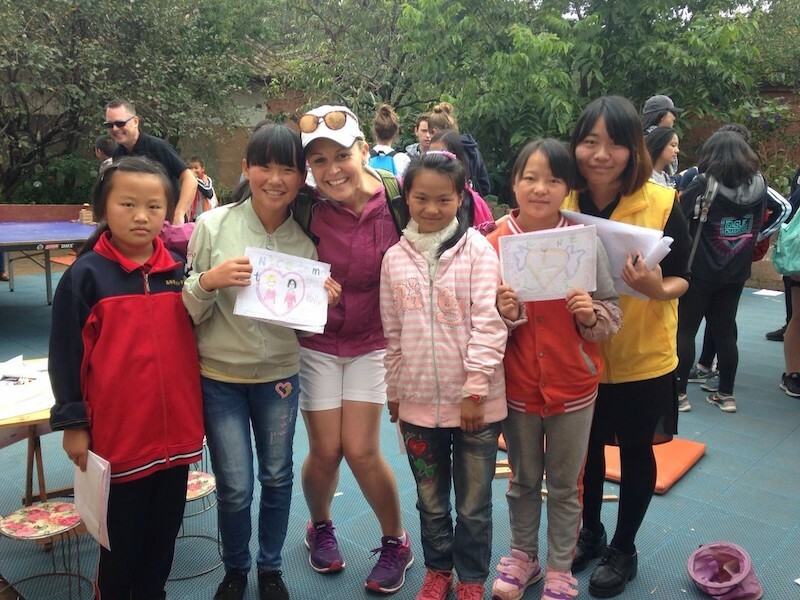 Our annual collaboration with Concordia International School Shanghai teachers and students – the TrIBES service trips we facilitate together in rural China. 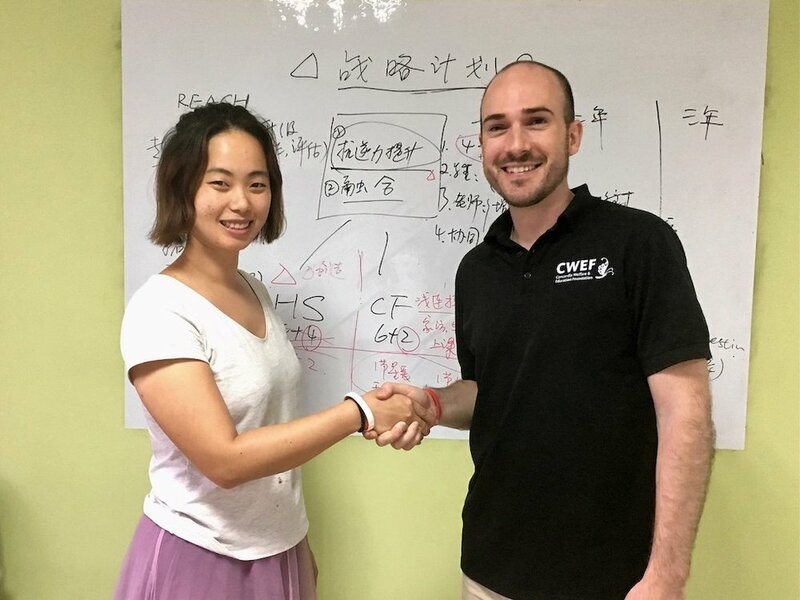 In my role as director for CWEF, one of my main responsibilities is working to raise funds for CWEF’s health and education programs in China and Cambodia. 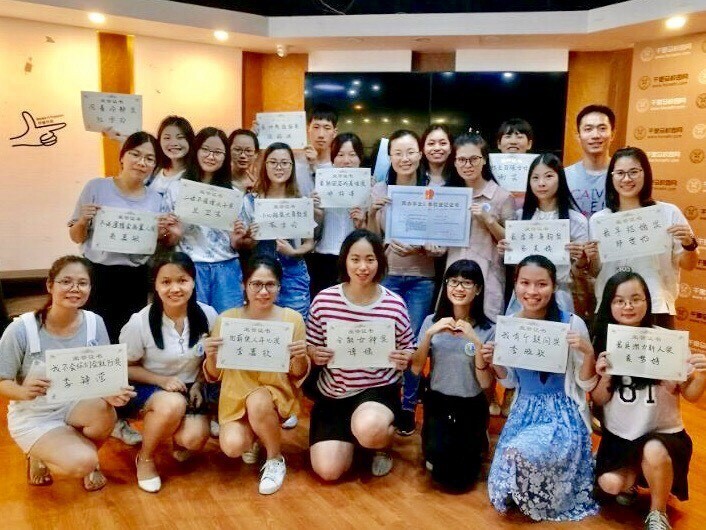 At the end of 2017, we ran a campaign called “81 by ’18”, aiming to raise enough to sponsor scholarships for 81 high school students in China before 2018. By God’s grace and through the generosity of many people, we were able to surpass this goal and sponsor 139 young women! I’d like to invite you to ‘meet’ a few of the young women – Summer, Sharlin, Mandy and Huimin – who have been blessed by this program and are now in university or beyond. Click on their names above or go to vimeo.com/cwef to see short videos of them sharing their own stories. All four of these young women are active members of Shining Star organization (mentioned earlier). In family news, Coco and I are very excited to share with you that John will be a big brother soon! Supposedly, our little #2 is currently the size of a cantaloupe and will be born at the end of June. Before the little one comes, we will be returning to the U.S. for our biennial Home Service travels to meet and share with supporters. Below is our schedule of currently confirmed visits; we are still working out final scheduling for all the weekday visits during these weeks. Please contact us if you’re interested. Thanksgiving for a healthy, growing baby #2. Prayers for Coco as she carries this little child, especially during our upcoming Home Service travels in the U.S. as we travel many miles and reconnect with many folks. Thanksgiving for completion of CWEF’s organization re-registration process in China. Prayers for Sean Harlow and Julie Lutz, beloved friends and colleagues who are moving on to the next stage of their service to the Lord in other places. Thanksgiving for God’s wonderful provision in sending needed funding for CWEF, especially for the scholarship programs in China and Cambodia. Prayers for additional funding to provide for all of CWEF’s planned programs and administration support. Prayers for Summer and the Shining Star organization, as they grow and develop their organization. For CWEF’s board of directors and regional LCMS leadership – for wisdom and vision as they make decisions about the future direction of the organization. For all the people connected to CWEF’s work, that the Spirit would be working in their lives. March 24, 2018 by Joshua Lange.